Tracks instead of wheels. Simplicity instead of complexity. The new TRX trenchers are the first tracked, dedicated walk-behind trenchers that have it all. Tracks - combined with Toro's exclusive easy-to-use control system - provide unparalleled maneuverability, all while offering the ultimate in operational performance. Operates in wet & soft ground conditions. 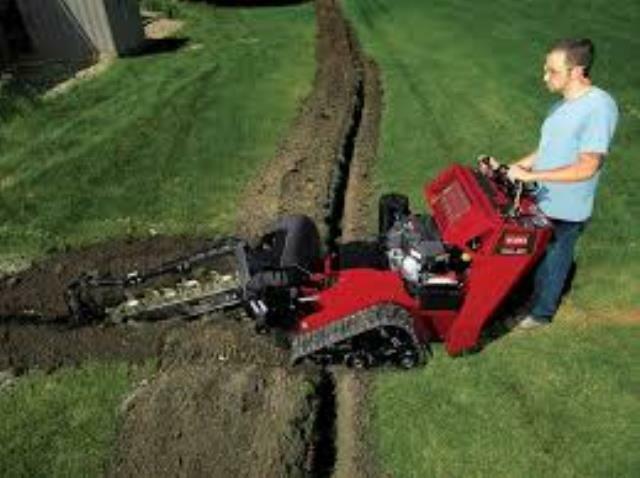 Easy-to-use control system doesn't require jerk-style steering like handle bar trenchers. Three simple controls operate all traction and trenching functions. Simple controls are easy for beginners to learn quickly. 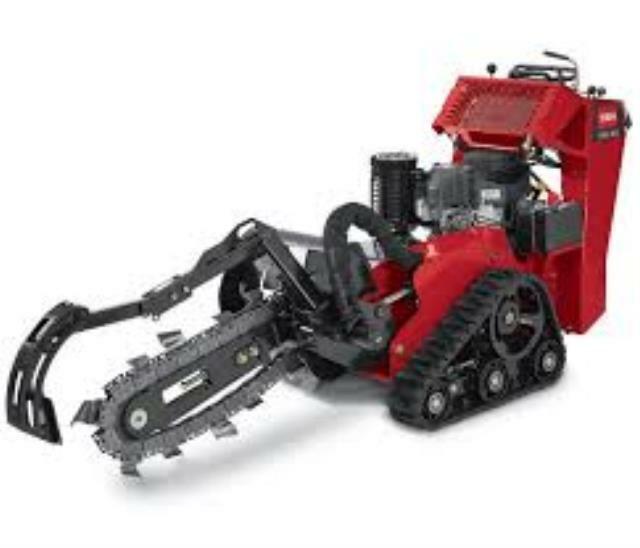 Similar to Dingo TX and STX stump grinder. * Please call us or submit a quote request for pricing and more information about our trencher toro trx 20 with trailer rentals in Albertville, Marshall County, and Northern Alabama. Serving Albertville, Guntersville, Boaz, Sand Mountain, Oneonta, Marshall County, Arab, Asbury, Horton, Crossville, Geraldine, Attalla, Snead, Douglas, Susan Moore, Altoona, Grant, Union Grove, Lake Guntersville, Dawson, Blountsville, Walnut Grove, Gadsden, Rainbow City, Southside, Hokes Bluff, Glencoe, Jacksonville, New Hope, Scottsboro, South Sauty, Claysville, Collinsville, Fort Payne, Rainsville, Huntsville, Madison, and Decatur, Alabama with quality equipment rentals and tool rentals at low prices.